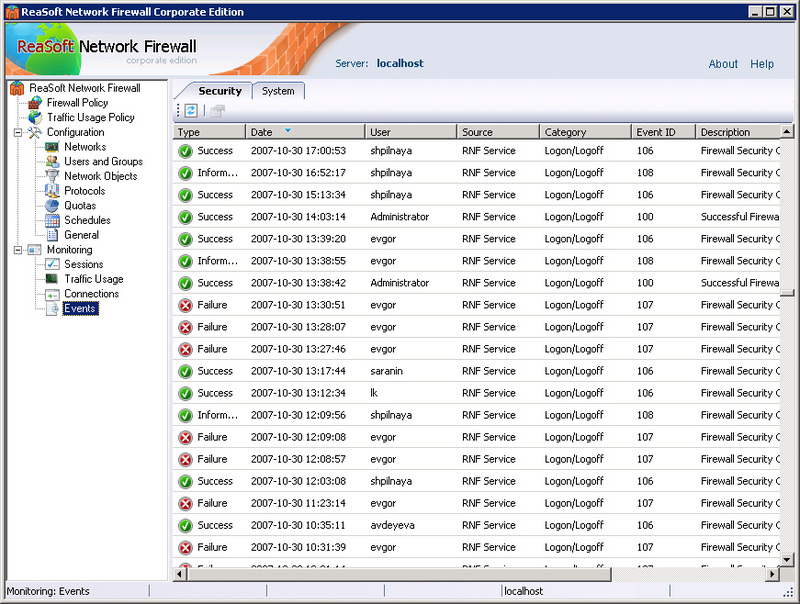 To allow you to completely control the work of ReaSoft Network Firewall, it has its own event system that logs system events and security events. It is recommended to look through ReaSoft Network Firewall events regularly to fix errors and prevent failures. All events and firewall information about is saved to text files in the standard w3c format. You can analyze these files in third-party software and get detailed statistics.